Somewhere out there are children just like me. They use reading as a way to escape life’s obstacles. They enjoy being sucked into magical worlds that challenge their imaginations. Sometimes books help them realize their problems are not as bad as they seem. They realize through characters that difficulties are a part of the human experience, but there are others like them who feel and react the same way they do. In other ways, those same children might be not like me. They are children who might know little about Japan and its foods or customs. They may not have any idea what’s it’s like to grow up Japanese-American or understand how deep-rooted our traditions are. For all children, books are a way of making connections and allowing them to experience something new. Diversity in middle grade and young adult literature enriches the reading experience by increasing the breadth and depth of what our children have access to, and because of this, there is also an increased chance for children to connect and learn. Both characters and authors of color can provide an introduction to unique perspectives. I find that most intolerance stems from a lack of understanding, and books are one forum which can equip children with information. I’m not naïve enough to think diversity in genre fiction will change everything, but every time we connect with a child, we open doors, and that makes writing worth it. In any discussion of diversity, the shadow constituency is white people. Obviously, it’s really nice for teens of color to see depictions of themselves in the media that they consume. But unless those depictions also appeal in some way to white people, then those depictions will not get the major play that they need in order to be published and widely distributed in a way that makes sure they get into the hands of people of color. And, of course, we all know that it’s good for white people to see the diversity of the world. But that also doesn’t matter. 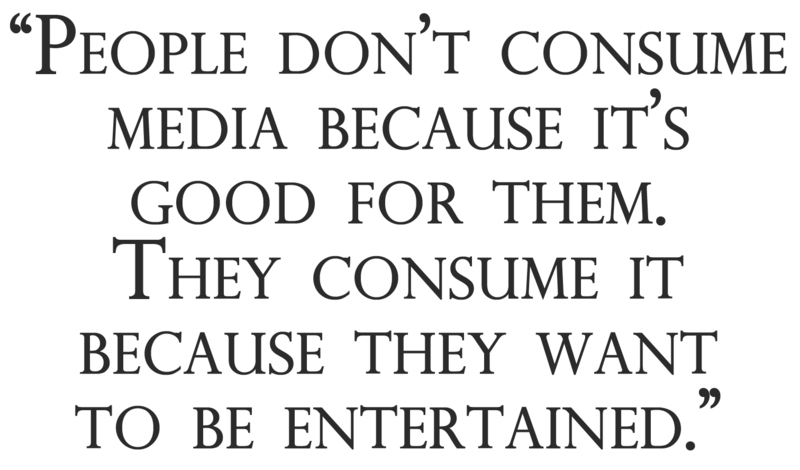 People don’t consume media because it’s good for them. They consume it because they want to be entertained. So the challenge is to create depictions of PoC that are also entertaining to white people. It’s hard. And it’s often a bit unsatisfying. Writing for an outsider audience means including explanations and “authentic” detail that insiders don’t necessarily need, or want, to see. And if you veer too much in that direction, then you alienate people of your own culture. And that alienation can often be good business, actually, because those people are actually just a tiny fraction of your audience and in terms of getting fame and book sales it makes a lot more sense to feed the preferences of a white audience that hungers for PoC characters who hang around in this tiny sweet spot where they’re alien enough to be picturesque but also relatable enough that they don’t pose a serious challenge to majority culture. I’m curious about what effect it would have had on me as a child and young adult to have had access to more fiction with characters that looked like me, or that came from cultures that I could have related to with more ease. I’ll never know, but I believe that kids nowadays should definitely have access to all that material and I am grateful for all those who are working to make this happen. Disclaimer- I’m not very immersed in the writer world so this conversation is somewhat new to me. However, it seems to me that diversity in genre fiction (or the lack thereof) is essentially a race issue- who is considered the default race and the limited range of cultures, descriptions, etc that spring forth from that. It’s just not representative of the real world and it does people and children of color a disservice. Stories help people relate to whatever they’re reading about- I had no problem as a child believing that pixies lived in my compound or imagining that the tree in our backyard was The Faraway Tree even though all Enid Blyton characters were white. All children (all people, actually) would benefit greatly from having access to diverse fiction and being exposed to different cultures and people. I teach in New York City public schools as a writer-in-residence. So I have a pretty good idea of what inner city children and teens are dealing with in terms of literacy. These new Common Core Learning Standards are asking students to read broadly and deeply—more informational nonfiction texts. And part of my job entails listening to teachers complain how this is a huge leap for many of their students. They’re being asked to argue these complex ideas and think critically, yet they have very little sense of themselves, their world and their place in it. When I teach fiction in places like Brooklyn and the Bronx, I’d get so many blue-eyed, blonde-haired characters in these stories you’d think we were in Norman Rockwell’s America. They’re emulating what they have to read. Reading the classics is a good thing. 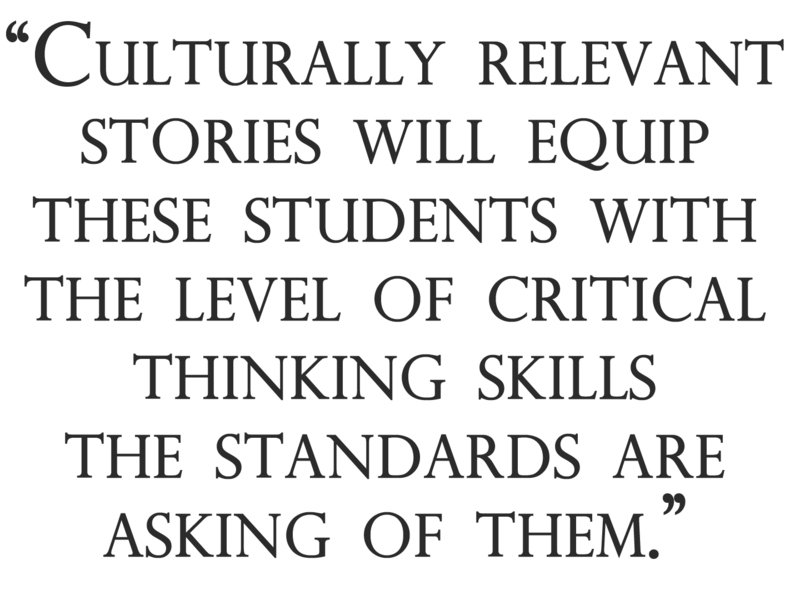 But culturally relevant stories will equip these students with the level of critical thinking skills the standards are asking of them. A great number of sci-fi classics can be paired with well-written YA dystopian novels, for example. And what if they can see themselves and their culture in these books? Orwell’s 1984 then becomes that much more relevant. Underrepresented students who experience school closures, substandard housing, and violence need to be able to think critically about a genre MG or YA novel and how it relates to them. They need to see themselves taking center stage in heroic stories before they can begin to affect change in their own communities. Great responses! I was particularly moved by Ibi’s comments on what this literature means and can mean to young people of color. Stories, fiction or non-fiction, are instructive in so many ways. Intentionally or not, they show young people of color where they place in the world by their very absence or presence in the text. Through their villains and their heroes, stories can also show us who we might be in the world. These are the some of the reasons that I started writing, to expand the possibilities of young readers. Our Final installment, giving our thoughts on diversity in genre fiction for MG and YA.